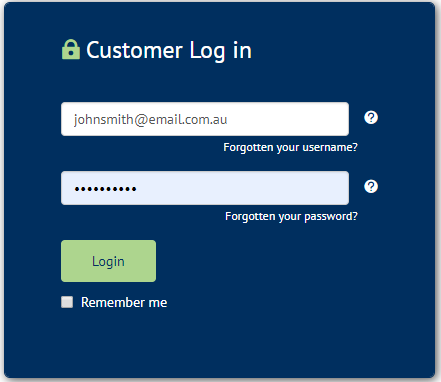 Need help logging into MyAccount for the first time? Your MyAccount username and password can be found on the welcome email from ACN. 5. Once successfully logged in, you will be asked to create your MyAccount Username. This must be your primary email address. This procedure will associate your ACN Customer ID with the email address entered so later, you will be able to log in with either your email or ACN Customer ID.